Investing in farming can be both a good investment and a social good. It is not often I get really excited about a new investment opportunity, but I have to confess that I really like the Fedgroup Impact Farming concept. It is simple to understand and has the potential to have a real impact on farming in South Africa, while providing a decent return for investors. As an investor you buy an asset ‒ currently that includes a blueberry bush, beehive or solar panel ‒ and rather than farming it yourself, you have experts ensuring that your asset gains the maximum possible yield. Fedgroup is a fully diversified financial services group that has a division specialising in income generation through property investing. CEO Grant Field saw an opportunity to provide investors with an alternative income-generating asset while bringing a crowdfunding solution to farming. Fedgroup invested in several farms and solar panel projects to understand how these could be used to provide a regular income to investors. After a year of testing the returns, it has made the assets available to the public via the Fedgroup App, available through both Google Play and Apple App Store. This could bring real momentum to farming in South Africa as Field envisages using the model to encourage commercial farmers to work with smaller farmers in developing their farming techniques. At the same time, it gives investors an alternative, income-generating, asset class. 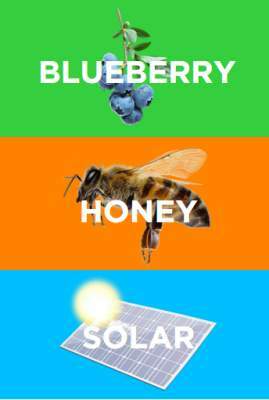 An investor directly purchases a blueberry bush, solar panel or beehive and earns the income that the asset produces. These have been placed on commercial buildings and the electricity generated by the panels is sold back to the building. As an investor you would buy a solar panel for R5 000 and over the 20-year lifespan you would receive an estimated internal rate of return of 10% per annum which means you will receive a total projected income of R14 500. Fedgroup has partnered with a specialised blueberry farm which uses high-tech farming techniques from Australia. The plants are drip-fed, reducing water usage, and farmed in tunnels, protecting them from the elements. The farm exports the berries as well as supplies local retailers such as Woolworths and PicknPay. You can buy a blueberry bush for R300 and will receive a total internal rate of return of 12% per annum over the eight-year lifespan of the plant. Over the eight-year period you will earn a total projected income of R600 per bush. Fedgroup is working with one large-scale commercial farm and two smaller farmers. You buy a beehive for R4 000 and receive the profits from the sale of the honey and wax. The farmer makes money out of ‘renting’ the hive out to large-scale fruit farms which need pollination. Projected income over the 10-year term is around R9 000. It took my 14-year-old son about five minutes to figure out how it works as the Fedgroup App is easy to use and explains the concept well, providing the necessary details on the assets. The graphs on the App show how income distributions are made. Income intervals: As income is tied with the yield of the harvest, you only receive income twice a year, in the case of blueberries and honey. As solar is farmed all year round, the income is monthly, although it does vary depending on the number of sunny days. Income varies: The income will not be consistent over the period. In the case of blueberries for example, it takes time before they bear fruit and reach their maximum yield – you only get paid based on the amount of berries that are harvested. For example, in your first year, you would only earn R12 (4%), but in year eight you would earn R72 (24%) per bush. A beehive would give you R180 (4.5%) in the first year and R1120 (28%) in year ten, and solar would give you R400 (8%) in the first year and R1600 (32%) in year 20. There is no capital gain, only income: At the end of the period your plant, hive or panel has no value so there is no capital paid. The returns illustrated on the App are an internal rate of return to illustrate the profitability of the investment. Keep in mind that your actual rand return will be higher as you are also paid for the depreciation of the asset. The actual income works out to around 17 % to 21% per annum. In the example of the beehive, you would invest R4 000 and receive back R9 000 over ten years, so theoretically your return less the capital invested is R5000. If you do not need income, then you could re-invest the income either in a high-interest bearing account or buy more farming assets and build your portfolio. This would boost your total return as it would have a compounding effect. Long-term investing: As you are buying an actual plant, hive or panel, you are locked in for the full lifespan of that asset which is eight years, ten years and 20 years for blueberries, beehives and solar panels respectively. Fedgroup is creating a secondary market for those who need to exit, but ideally you should only invest if you can remain for the full term. Taxable income: This is not a fund, but rather direct ownership of an asset, and the income paid is revenue from your asset, rather than a dividend. As investors own the individual assets for income generation, the income generated will be subject to taxation as part of their income tax. However, there are several tax deductions that can be applied for, such as Section 11(e) for wear and tear on income-generating assets. There is also the ability to claim under Section 12B of the Income Tax Act for the generation of electricity from renewable sources and agriculture. While Fedgroup assists clients with the necessary paperwork to submit these claims, they do not offer tax advice and asset owners need to speak to their tax practitioner on the best benefits available. Money Wallet: Cash is stored in each asset owner’s Impact Farming wallet, where it earns interest at 4.5% p.a., linked to the repo rate. Asset owners can keep this money in their wallet for as long as they choose. Whenever the balance is over R300, they can choose to have it paid out to them. 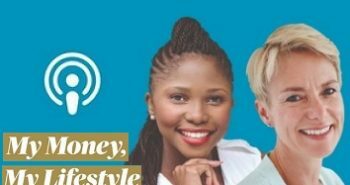 They have the option of having the money paid out automatically every time the wallet reaches R300-plus, or to reinvest the money in the wallet and receive payouts on request. They can also use the money to purchase additional assets. Costs: Fedgroup charges a 1% platform fee, so for example R3 a year on a blueberry bush. The returns illustrated are net of the fee. Insurance: The assets are covered by insurance so if a hailstorm destroys a beehive or solar panel, or your blueberry bush dies, you do not lose your money. Risk profile: As the assets are insured the risk of losing your money is low. The risk is on the income generation as it will depend on the yield of the asset and, although managed by experts, there is never a guarantee when it comes to farming. Also keep in mind that the income builds up over time, so this is not for someone who needs the maximum income in year one. Ideally you should build up a portfolio of assets which provide a diversified income stream and re-invest a portion to maintain a capital value. While we could all go out and buy our own blueberry bushes or beehives, it is unlikely we would get the yield that high-tech farms produce (around 10x more), and then who would we sell to other than our friends and relatives? But blueberries and honey are big business. Blueberries are in high demand from countries like the US and UK, and South Africa exports around 75% of our blueberry production. You just have to look at the prices of blueberries in your local food store to know that this is one seriously expensive berry. There’s currently a global shortage of honey due to declines in bee colonies. This not only has ramifications for pollination but is also leading to all sorts of unethical practices which include adding non-honey additives to honey products. Solar energy is considered the energy of the future, however, the costs of doing this on a small scale off the roof of your home and trying to sell into the grid is prohibitive. At this stage it requires large-scale projects, ideally with their own demand such as a commercial building. As electricity costs rise, so does the demand for solar power, especially for commercial buildings which can benefit from tax credits by using greener energy. Previous postListen: How to settle your balloon payment; Should you cash in your pension? 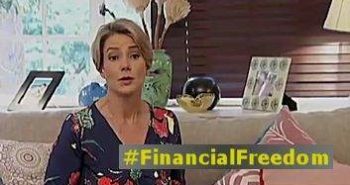 Next postWhat’s does financial freedom mean to you?